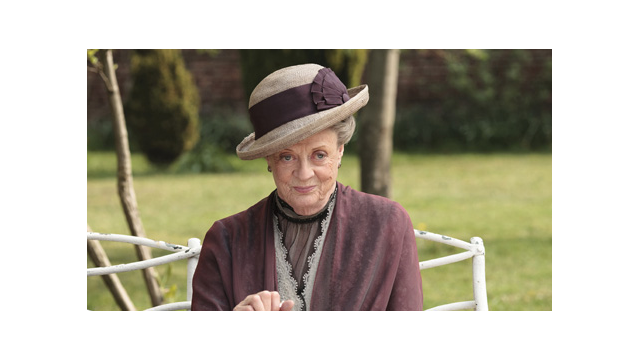 On Sunday, September 23, Dame Maggie Smith won a Primetime Emmy® Award for her portrayal as Lady Violet, Dowager Countess of Grantham in MASTERPIECE CLASSIC’s “Downton Abbey.” This award joins an additional 11 Creative Arts Primetime Emmys that PBS programs received on September 15, 2012. "Congratulations to all our Emmy winners, and a special congratulations to Dame Maggie Smith for winning the Emmy for Best Supporting Actress in a Drama for her role in ‘Downton Abbey,’ a MASTERPIECE/Carnival Co-production in association with NBCUniversal," said PBS President & CEO Paula Kerger. "To be recognized in this way, particularly in a year of exceptional performances across the television landscape, is truly gratifying."